Back in 2014 Governor Hickenlooper signed into law the Medina Alert-Hit and Run Act. This Act put into place the Medina Alert Program in Colorado, which is a partnership between law enforcement agencies, the media, and Taxis on Patrol (among others) to effectively use electronic media to provide an urgent bulletin in the most serious hit and run cases. The Act is named after Jose Medina who was hit and killed by a hit and run driver in January of 2011. According to themedinaalert.com, the first “Medina Alert” occurred back in 2012. This is a great law that better supports the integration between the police, media, and citizens. 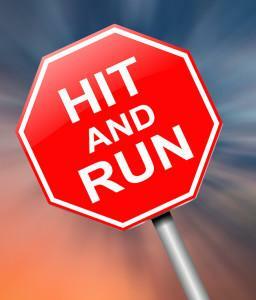 One of the most recent Medina Alerts occurred this June in Denver involving a hit and run of a bicyclist who was seriously injured. For a Medina Alert to be issued there must be a “hit and run” and the victim must have sustained “serious bodily injury.” Serious bodily injury occurs when either at the time of, or at a later time, there is a substantial risk of death, a substantial risk of serious permanent disfigurement, a substantial risk of loss or impairment of the function of any part of the body, or breaks, fractures, or burns of the second or third degree. See C.R.S. § 42-4-1601(4)(b). If law enforcement has it, they will provide all information on the suspect and the suspect’s vehicle, which may include make, model, color, and license plate number. It is important for us all to be safe out on the roads, and if possible to assist whenever we can in matters like this. If you are involved in an incident, please stop; do not leave the scene of an incident.